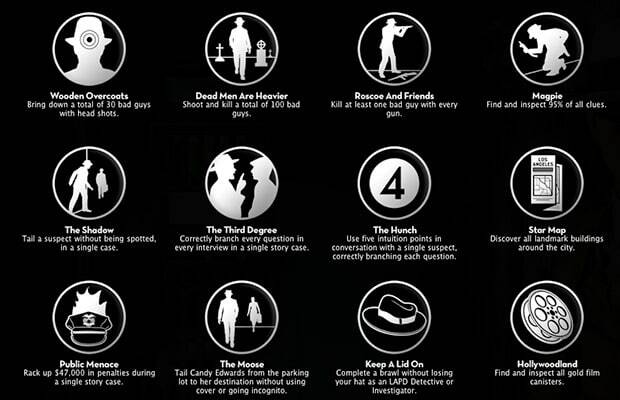 "L.A. Noire" Achievement List Leaks...BLOOD! These things are wont to happen, and now they have again. Happened, we mean. 31 of the 40 achievements and trophies for L.A. Noire have been leaked (and by "leaked" we mean "released by Rockstar Games in order to give gamers some additional sense of what the game entails, since that&apos;s what&apos;s generally done a month or so before a game comes out"). And thankfully, it&apos;s not all "interrogate bloodlessly" this and "enjoy a doughnut without harrassing an innocent nonwhite pedestrian" that.